We are now all very familiar with double glazed windows and they now make up the majority of new windows fitted in the UK. But less people are aware of the concept of fitting blinds inside double glazing. The use of encapsulated or integral style window blinds means that there is absolutely no cleaning of the blinds needed and no unsightly curtains or blinds hanging off the window frame. Moreover, they are also safer for children and pets because there are no cords hanging lose to get caught up in. People have some odd ideas about having blinds inside double glazing. Some think they are sterile looking, others think they are horrendously expensive, whilst others think they are only available for commercial properties. That is despite the fact that blinds inside double glazing come in very tasteful and attractive designs. They also miss the functional practicality that encapsulated blinds give you. These integral blinds look great and need no maintenance and are designed to improve heat reflection. This further enhances the energy-saving benefits of double glazed windows. Blinds inside double glazing are highly versatile and can be customised to suit any vertical window or door. There are a high number of different styles and looks available. Once you have selected your preferred style of blinds, you can choose between a manual cord system, a fully automated remote-control mechanism, or one of several other opening controls. These blinds enhance any double glazed window fitting, as well as giving your home an air of stylish contemporary appeal. They can be tailored to perfectly match the decor and existing colour scheme of your home. 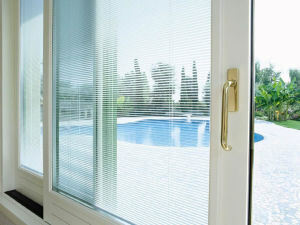 No maintenance or cleaning is required, they are great looking and we use the highest quality material and mechanisms. 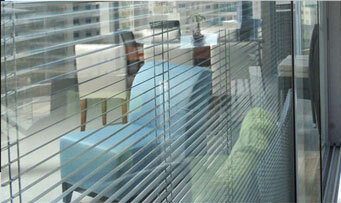 Find out more about Blinds Inside Double Glazing by contacting us or calling 0800 310 12 22.